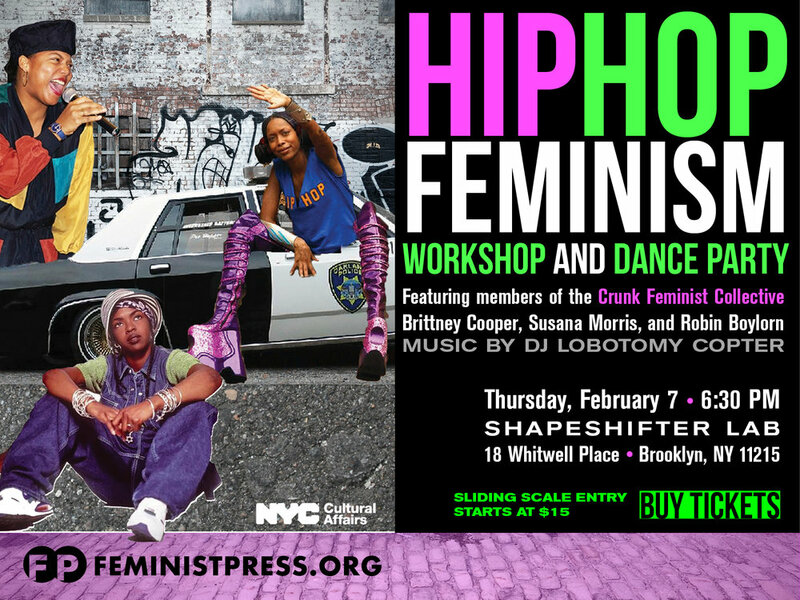 Join the Feminist Press for an evening celebrating hip hop feminism and joyful defiance! Learn about the hip hop feminist revolution from Crunk Feminist Collective members Dr. Brittney Cooper, Dr. Susana Morris, and Dr. Robin Boylorn in discussion, moderated by FP's own Jamia Wilson. Share your thoughts in the Q&A. Dance it out to music by DJ Lobotomy Copter. All proceeds benefit the Feminist Press. Free snacks! Beer + wine for sale!